Get Reduced Juice Rewards from 5Dimes! By default, 5Dimes rewards all players with Reduced Juice Rewards, providing cheaper bets and bigger payouts! The savings dramatically add up over the course of a season! Opt in for a 50% Deposit Bonus up to $520! As an alternative to the Reduced Juice Rewards, you may opt for the 50% Plus New Player Reward which provides a deposit bonus up to $520! Reduced Juice Rewards Default bonus for new customers, provides wide range of reduced juice options, providing -105 odds instead of -110 (a 50% discount on juice). 50% Free Play Bonus New player deposits up to $400 receive a 50% Free Play reward up to $200. Deposit $500 or more and receive an additional 20% Free Play up to a max bonus of $520 bonus. Must contact customer service to opt in. 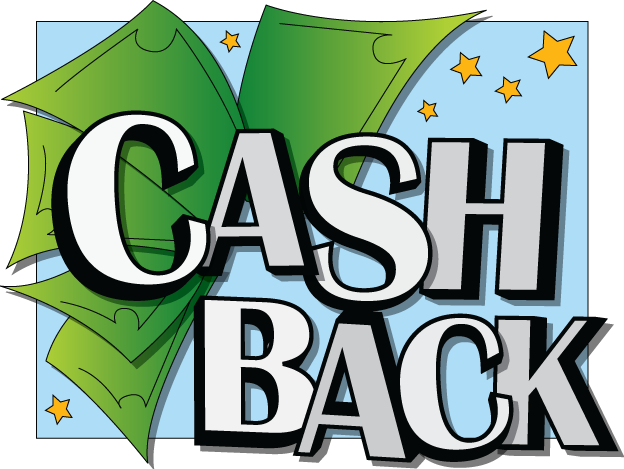 Cash Back Reward Receive a 20% cash back rebate on all your losses available twice a year. Must contact customer service to opt in. 5Dimes has been operating since 1996 and considers itself the gold standard in online betting. 5Dimes is well known to offer the widest variety of sporting events and betting lines, as well as the most flexibility in a betting platform. Enjoy 24 hour customer service, prompt payment processing, and some of the best odds anywhere. By default, new 5Dimes customers are automatically given the Reduced Juice Rewards bonus. This is the most popular option among 5Dimes players, but you can change your welcome bonus to one of the other options by contacting Customer Support. 5Dimes offers a wide variety of reduced odds betting lines, so rather than buying the typical -110 odds, you will get the reduced price of -105 odds on select bets. This amounts to a 50% discount on fees/juice paid. These savings can add up to a significant amount of money by the end of your sports season! 5Dimes has a large selection of reduced odds bets available at all times. 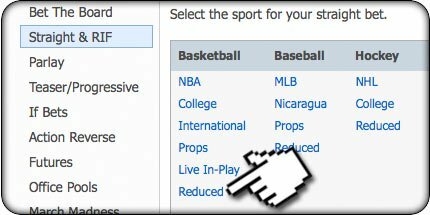 To find the selection of reduced odds lines, navigate to Straight & RIF on the left nav, then find your sport of choice and click on the Reduced option as shown to the left. Check these Reduced Juice lines often as they update or more lines get added! Click here to join 5Dimes! You can opt to choose the 50% Plus New Player Reward as an alternative tot he Reduced Juice Rewards bonus. The 50% Plus reward matches your first deposit up to 50% when depositing up to $400 for a $200 bonus. However, if you deposit $500 or more, you receive an additional 20% bonus on the amount above the $400. So, if you deposit $400, you will receive a bonus of $200. If you deposit the maximum allowed of $2,000, you will receive the $200 PLUS $320 ($1600 x 20%) for a total of $520. The Free Play bonus is awarded to you in increments as you bet. You will need to bet the entire amount of your deposit to receive your first 10% Free Play bonus. Wager your deposit amount again and receive your 2nd 10% Free Play bonus. Once you’ve wagered 10x your deposit amount, you will will receive 100% of your bonus. For example, if you deposited $400, you would have to bet a total of $400 upon which your first bonus reward of $20 will get credited to your account. Note that you do not have to lose $400 in bets, you just have to wager that amount. So you could win or break even, and after wagering the $400 you will receive 10% of your bonus amount – in this case $20. 20% Cash Back Reward – can be redeemed only twice a year, within 2 weeks of the first pre-season NFL game and within 2 weeks of the Super Bowl. 15% Cash Back Reward – can be redeemed once every 30 days. 10% Cash Back Reward – can be redeemed once a week on Tuesdays. 5% Cash Back Reward – can be redeemed any day other than Tuesday. Clearly, the 20% Cash Back Reward is the best option but you have to make the request in the windows outlined above. You must contact Customer Support and request your Cash Back Reward. When you do, you will see the refund appear in your Account, under Transactions as shown to the left. and several others, but we’ve described what we believe are the best welcome offers provided by 5Dimes above! We encourage you to read more details at the 5Dimes.eu website and to contact Customer Support if you have any questions! Register your new 5Dimes.eu account by clicking here, then click on the REGISTER NOW button located on the right side of the screen. 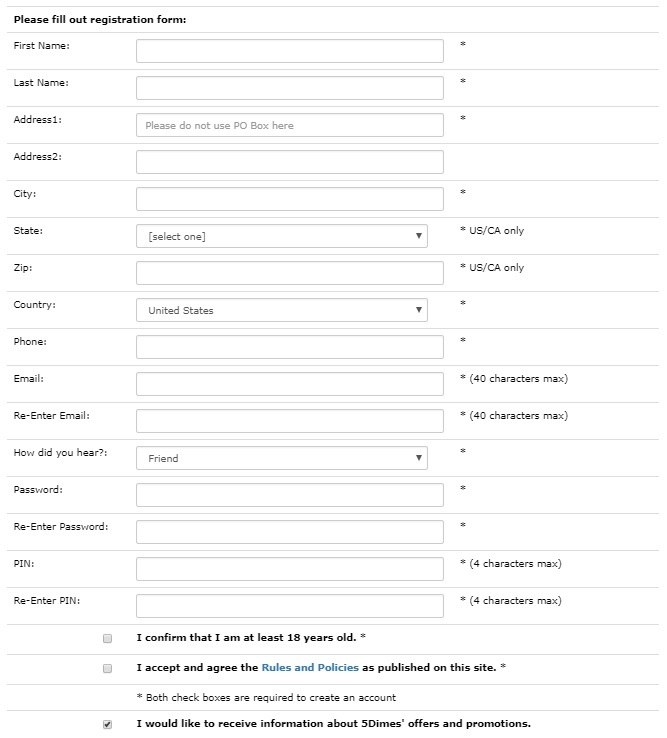 5Dimes.eu requires REAL and ACCURATE information when registering your account! Do not use aliases or fake information because 5Dimes uses verification procedures at the time you request a cash out. Note that you will have to enter both a Password and a PIN. You will need your PIN whenever you contact Customer Support. Once you’ve registered your account, log in and click on the Cashier link at the top right. Your options will be Bitcoin, Credit & Debit Cards, and MoneyGram. We believe Bitcoin is the best deposit and withdrawal method to use. 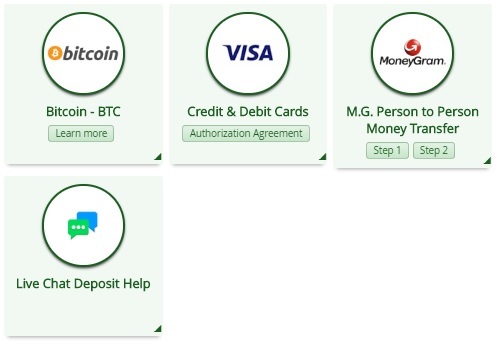 There are no fees when depositing or withdrawing via Bitcoin. You may deposit a minimum of $25 up to a maximum of $20,000 when using Bitcoin. If you use the Credit/Debit Card option, you will need to confirm your identity, including the last 4 digits of your social security number, and you may also have to submit documents to prove your identity. Sign Up to 5Dimes Today!